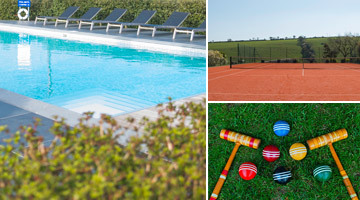 Sports enthusiasts are sure to appreciate the croquet and cricket lawn, all weather clay tennis court and heated swimming pool. Ample storage for shooting equipment, surf boards, fishing tackle and other sporting paraphernalia ensures you can make the most of the Cornish outdoors to partake in all your favourite hobbies. 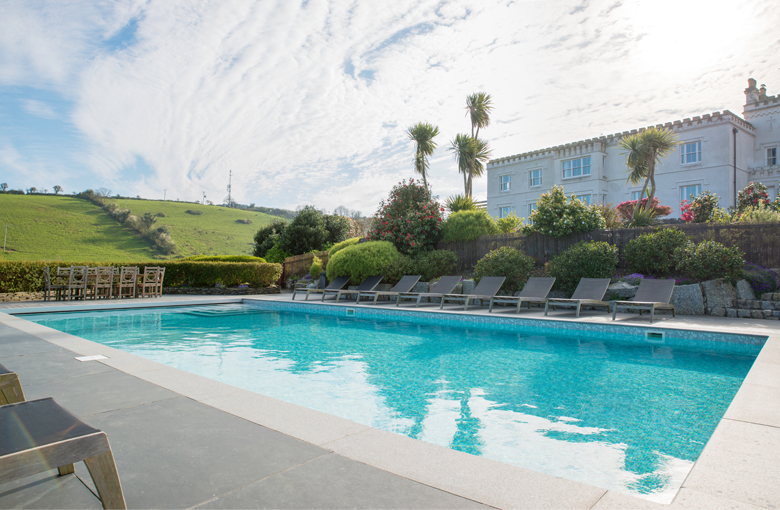 For more sedate outdoors-y guests, our two acres of beautiful private flower gardens and rockeries, orchards laden with fruit, stunning organic vegetable and herb gardens and impressive views across the Cornish coastline provide ample opportunity for lounging and strolling. At one end of the lawn, the gazebo provides shade for lazy afternoons of reading, snoozing or daydreaming amongst the scent of the trachelospermum asiaticum. Polpier provides ample storage for shooting equipment, with gun cabinets that can house up to 18 guns and we also welcome dogs. Where could be better to relax and unwind by the fire, enjoying a hearty home cooked meal and sipping on your favourite tipple after a long day of shooting?